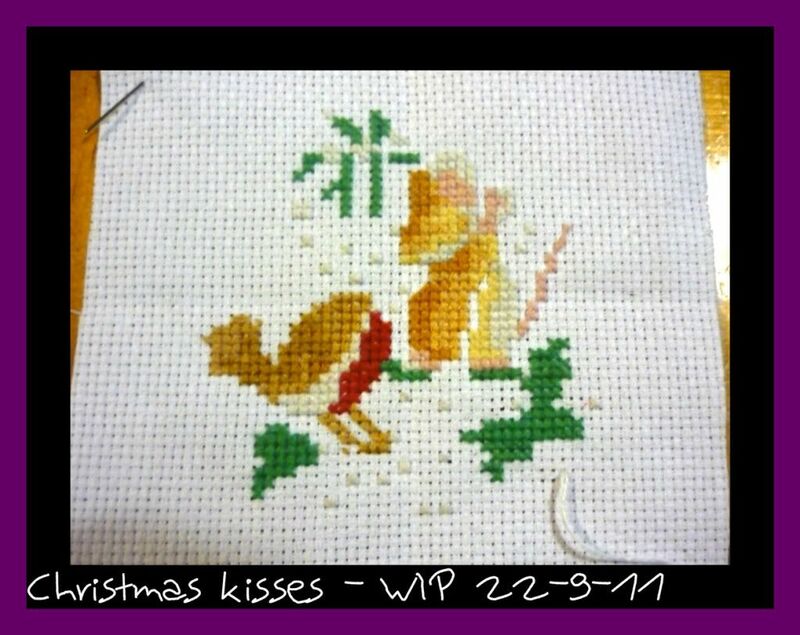 Naughts & Cross stitches: Craft Group Today! 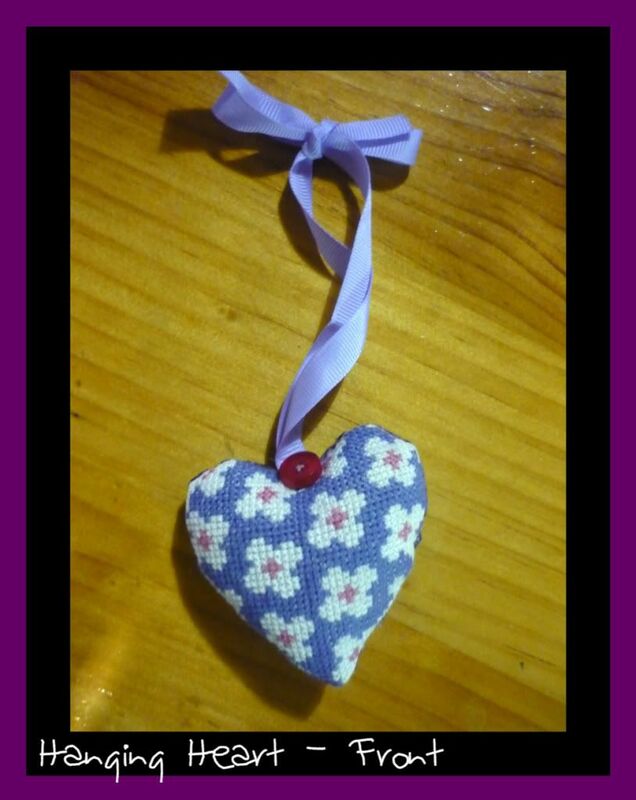 Today was another craft group day but I had 4 people turn up plus mum and me. I had two of my friends, the family I nanny for which means an 8 yr old and her mum plus a boy (he mowed the lawn). We all had slightly different projects. Now I am really naughty with my camera and couldn't be bothered finding it to take pictures so I can't actually show any of their projects. On the other hand I managed to finish 2 projects that have been banging around downstairs waiting for me to bother to mount/sew them into something useable! I also managed to get some time on Boxers, with lots of white done... boy is that hard to see against the white fabric my eyes were going cross eyed. Sorry about the really bad photo I couldn't get it to focus right. You get the idea anyway. 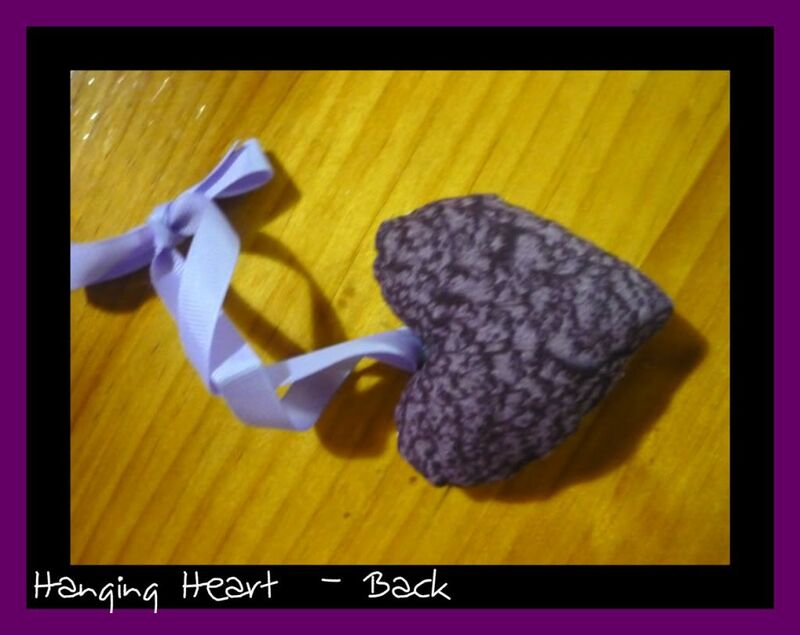 I've had this heart finished for ages but never got around to sewing it up. Not entirely happy with it as I couldn't get the heart shape quite right but considering it's my first time sewing up my cross stitch I'm happy. 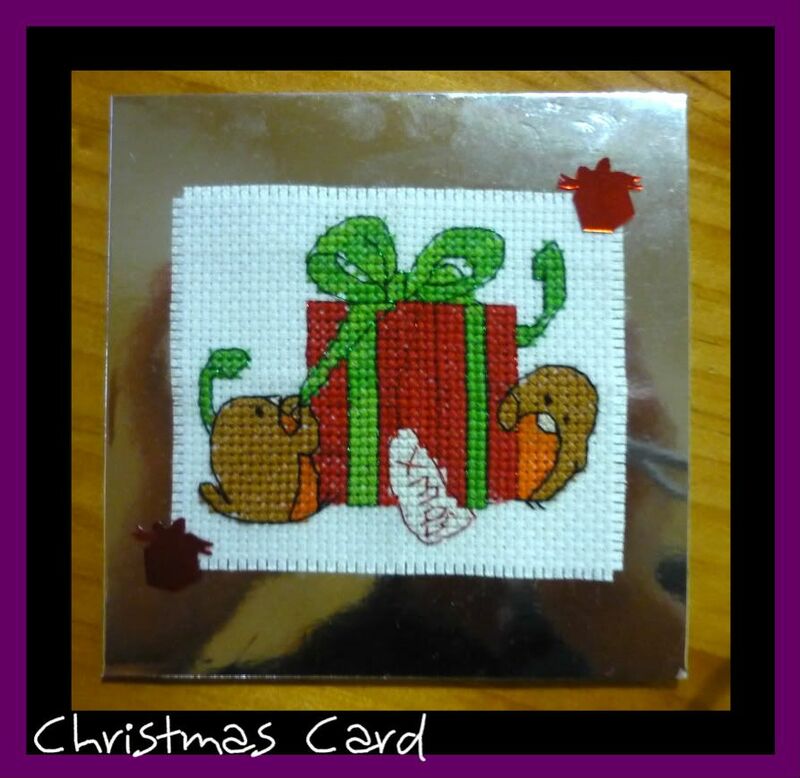 I also finished a Christmas Card! Totally finished as in I could write a message and give it straight away. Again I'm extremely happy with this one because it's finished. Well there are my lots of pretty pictures I've been very busy. Lovely mini-projects. 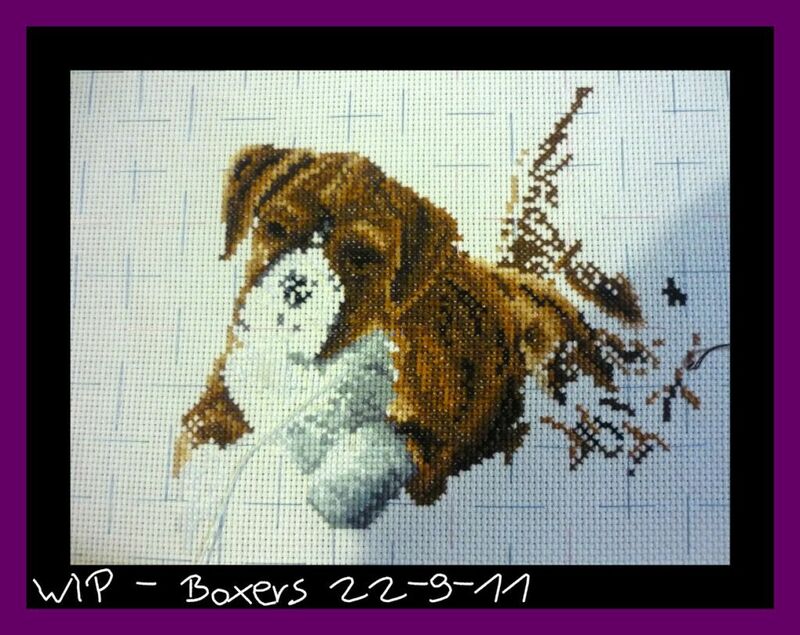 The boxers project is starting to look really good. You must be pleased.